There’s just a handful of masks that I reach for when I’m having a bit of a skin emergency. 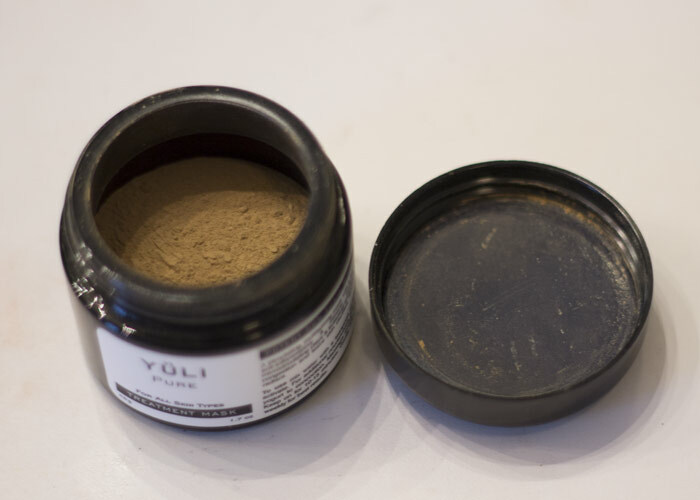 Yuli Skincare’s “Pure” mask is one of them. Ever since September when I shared that I hopped on the Yuli train, I’ve been getting emails from readers (were you one of them?) asking for some real talk on this mask. Short answer: Yes, it really works. No, it’s not “better” than another beloved mask; it just serves a different purpose for me. And that purpose, for me, is to give me back a little of my confidence during the time of the month when I feel like everyone is staring at my blemishes instead of my eyes. Sounds like a damn good reason for Yuli Skincare “Pure” mask to be on my repurchase list, right? Because it is! I basically always have very active blemishes on my face — forehead, hairline, chin, sideburns area — and “Pure” helps them heal and reduces the intense redness of angry, flaming pimples. Case in point: During my period of incredibly cranky skin a few months back, I used “Pure” three times during a 14-day period during more than a month of monster breakouts. 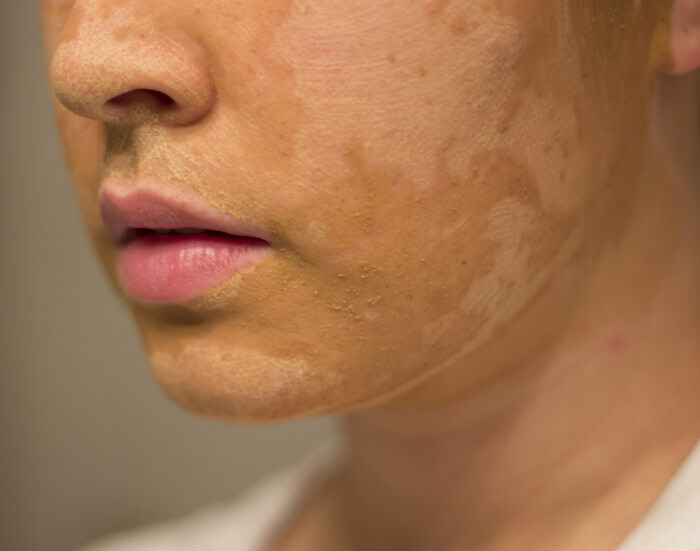 I saw a remarkable difference in my skin — active pimples flattened and drained without irritation or dryness, and seemed to run their course a little faster than pre-Pure mask. 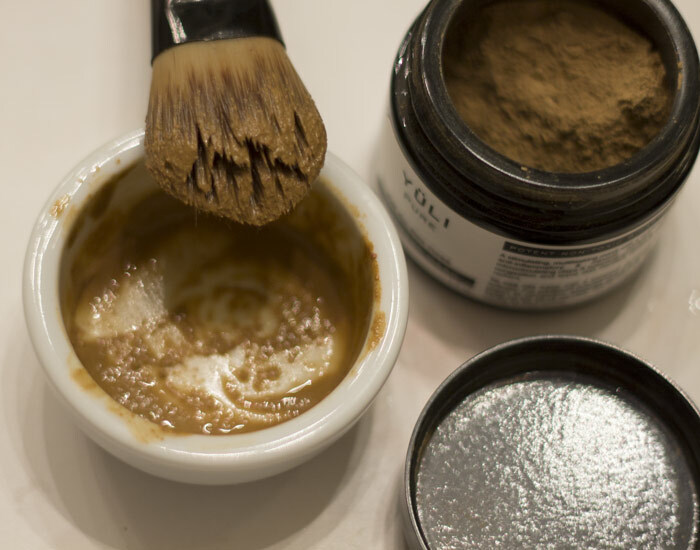 When I’m crazy broken out, or just feeling a little rumble in the deeper layers of my skin, Yuli’s “Pure” mask is incredible at taming, soothing and healing moody and inflamed skin. I’m chalking this up to the powerhouse combination of beautiful and beneficial ingredients that my oily, acneic skin has responded well to before — detoxifying clays, mung beans, white willow bark, cucumber, frankincense, neem and MSM (sulfur). First, the clays. “Pure” combines rhassoul, Australian beige, French green and zeolite, all which gently draw impurities from pores and deliver rich, skin-nourishing minerals back into them. Next, the mung beans and cucumber. I’m no stranger to this Asian food and skincare staple, and it’s lovely to see more beans popping up in green skincare overall. Mung beans are extremely cooling, which is helpful for overactive, unhappy skin. Cucumber holds its own to the mung beans (the saying isn’t “cool as a cucumber” for nothing! ), offering additional softening and calming effects. For a classic Pitta // Sagittarius with a deep love for all things spicy and hot, I definitely need this combination to bring some balance back to my skin! Now, the frankincense, neem and MSM (sulphur). My skin absolutely loves anything frankincense and neem. Frankincense is an amazing anti-inflammatory, and neem is yet another impressive antibacterial / antifungal ingredient that’s prized in Eastern medicine (hello, Ayurveda). The nonchalant MSM on the ingredients list is, I’m assuming, methylsulfonylmethane, an organic sulfur compound found in many of the foods we eat. Now, just because I’m highlighting these ingredients doesn’t mean there’s any less love for rose, rice powder, fruit enzymes, milk powder, matcha … good gosh the list is long and clean and there’s just something in there for almost every skin concern. And while I’m writing this review from an acne-prone person’s point of view, don’t dismiss “Pure” as a “teen skin” (I hate that phrase) product; it’s loaded with antioxidants, collagen-boosters, skin-soothers and scar-healers that skin of any type will adore. Depending on how particular you are with scents, you will likely either love, hate or be indifferent to the smell of Yuli “Pure” mask. The crisp, herbal scent reminds me of clean, earthy air after a torrential downpour, which to me, is very soothing to my nose during the ritual of applying “Pure” mask. It’s got that sort of gathered-from-the-forest medicinal scent that makes me feel like I’m feeding my skin its greens — because in a way, I kind of am. Now, if only we could solve all our skincare emergencies with a serving of greens both inside and out. Maybe we can. Now isn’t that a novel idea? 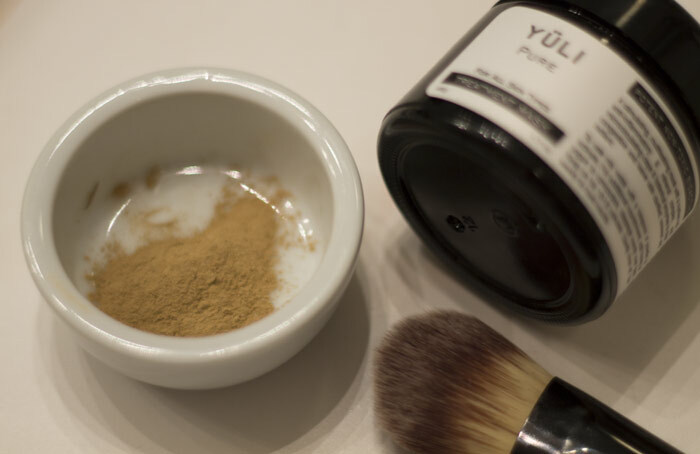 Have you tried Yuli Skincare’s “Pure” mask? What did you think of it? What other masks do you keep in your skincare arsenal? Tell me in the comments section!